The state of liminality intrigues me. Sitting in the doorway of newness; the almost but not yet place of birthing a new piece of art, jewelry, garment, essay; awaiting that next place in life–these are a few of the images swirling through my waking and deep sleeping dreams in the past eighteen months. I attempted to give a face to these liminal places in a small bit of hand weaving about a year ago. 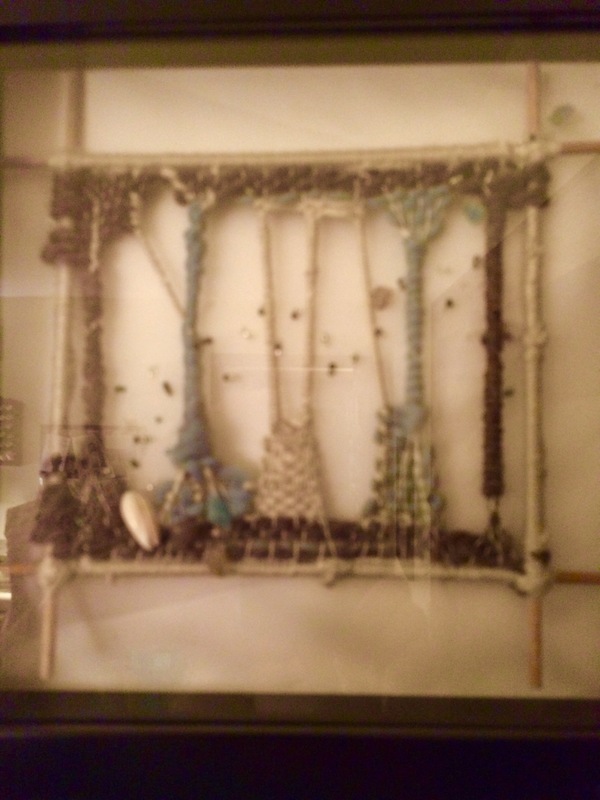 I wrapped cotton warp with wool yarns; mounted the 6″ x 6″ framework on ivory silk, and sprinkled in various beads and a small shell. The frame was simple sticks lashed together.